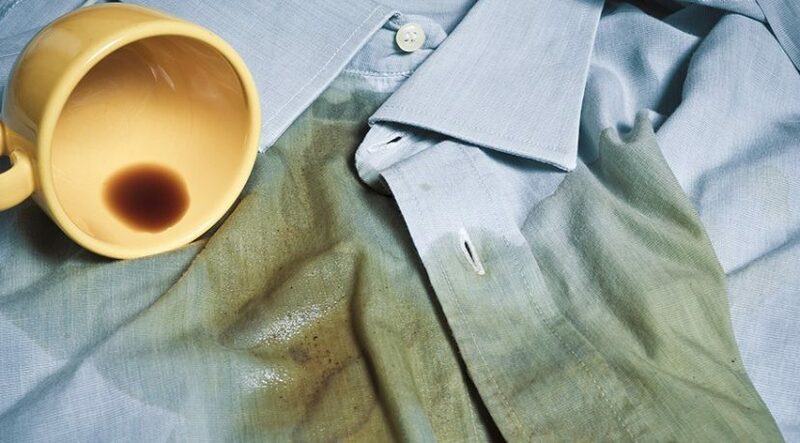 Spilled coffee – no problem – Learn valuable ways of eliminating coffee stains from your favorite clothing items, countertops, dishes, furniture, linens, carpet, and more! Learn how to get coffee stains out of anything! Methods for coffee stain removal that work. Coffee is the world’s favorite beverage, so we all have coffee stains on our carpet. Today, it is estimated that approximately 55% of the country’s population drinks coffee. In fact, so much coffee is sold that over 400 billions cups are consumed annually. Although coffee is enjoyed cold or hot and by people of all age, interestingly, the greater percentage of java lovers is people between the ages of 18 and 39. Coffee has long been a debate – is it healthy or is it unhealthy! With years of research and study, the current consensus is that coffee has little, if any, risk, based on a three-cup a day consumption. Working to boost energy, some people depend so much on coffee that they need it to get their day started. With so much consumption, coffee spills are inevitable. However, using proper coffee stain removal processes, you can get the stain out of just about anything, as you are about to discover. If you look around, you will see people sipping on coffee while driving, walking, or trying to balance a number of things. Obviously, this creates the perfect opportunity for spills. Because coffee is a beverage enjoyed at work, school, restaurants, and other away-from-home locations, you do not always have the products needed to eliminate the stain. However, as you will discover, there are ways to get rid of a coffee stain in this situation as well. Before getting started, take a minute to read the label (if there is one), following specific care instructions and warnings provided by the manufacturer. For example, if you have a coffee stain on a natural fiber or dyed rug or carpet, then the standard coffee stain removal process may not be applicable. If there is not label, then you might talk to a professional cleaner before you get started. For most coffee stains on fabric such as clothing items, linens, furniture, and carpet, you would start with a white paper towel, gently blotting it on the stain to remove as much of the stain as possible. Then, in a small bowl, mix one-third cup of white vinegar and two-third cup warm water. Dampen a clean paper towel, blotting on the stain again or if the stain is large, you can pour the mixture into a spray bottle and misting the stain followed by blotting. If you find yourself at a restaurant, enjoying a wonderful meal with after-dinner coffee, only to discover a stain, the most important thing is to get warm water on it immediately. Simply excuse yourself to the men or women’s restroom and with a clean cloth (toilet paper will work is that is all there is), moisten the stain. Make sure you never rub, just blot. You may need to do this several times. When you see the stain is gone, use another piece of cloth to dab it dry. Sometimes, the entire stain will not come out with just water so as soon as you get home, treat the stain appropriately. If the above method does not do the trick or if you do not have white vinegar handy, you have a number of other options for coffee stain removal. For example, you could mix about one-quarter teaspoon of hand dishwashing detergent (make sure it does not contain bleach or lanolin) with one quart warm water. Going back to the blotting method, use a clean, white paper towel and blot from the outside of the stain inward. In most cases, this will do the trick. If you are in a restaurant, even warm tap water blotted on will get most, if not all of the stain out. Now, if you have a coffee stain on your carpeting, then take 3% hydrogen peroxide to moisten the stain. After letting the peroxide stand for about 60 minutes, use a white cloth or paper towel to blot the stain until it disappears. Then, place another clean cloth or paper towel on the stain and place something semi-heavy on top such as a book or brick so the stain will be drawn upward. Keep in mind that as this light peroxide stands, it converts back to water. Therefore, once the stain is removed, you do not need to rinse the area. Two other coffee stain removal methods include using an egg yolk solution and baking soda. With egg yolk, you can mix one yolk in a bowl along with a few drops of rubbing alcohol. With a clean cloth or paper towel, gently rub the solution into the stain and then allow it to sit for a few minutes before rinsing. For baking soda, sprinkle a small amount onto a wet cloth and then begin working it into the coffee stain. Again, when the stain is gone, rinse with clear, cold water. Finally, coffee stain removal techniques differ slightly between washable and non-washable fabrics. With washable fabrics, the key is to soak up as much of the coffee stain as you can immediately, again using the blotting method. Since coffee can actually dye some fabrics, this step is important. Then, mix non-bleach, non-lanolin dishwashing detergent and warm water, blotting the spot. When done, rinse with cold water. For non-washable fabrics, use only warm water to blot up the coffee stain. If the stain does not come out, you should consider having the garment dry cleaned. Typically, coffee stain removal is easy but the key is to pay attention to the type of fabric and use the appropriate method for the best results. In most cases, if the stain is caught early, it will come out. Now, you can drink your favorite coffee drink and not worry about spills!